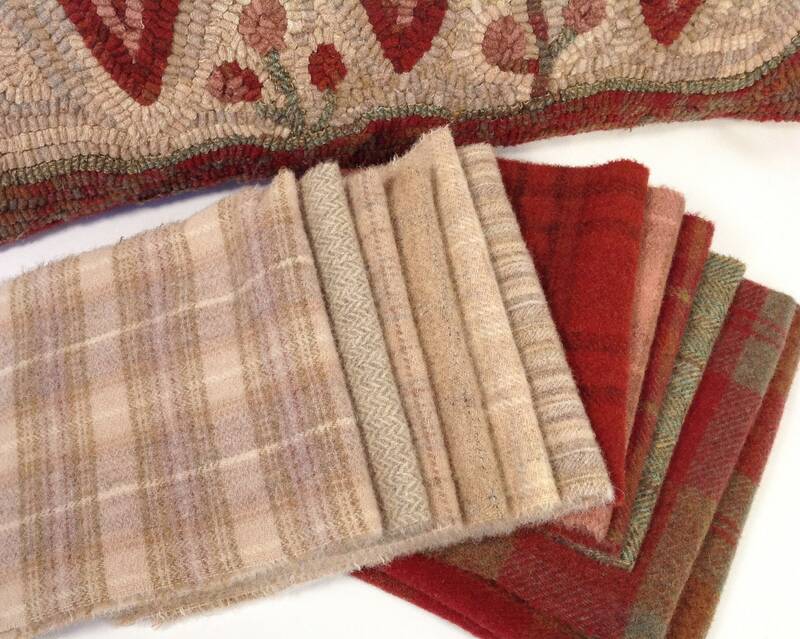 This wool pack includes a wonderful variety of lights and neutrals, reds and dusty pink and a bit of green. It includes just over 1 yard of wool. It is the colors I used to hook my design "Three Hearts". The pattern is NOT included in this listing. 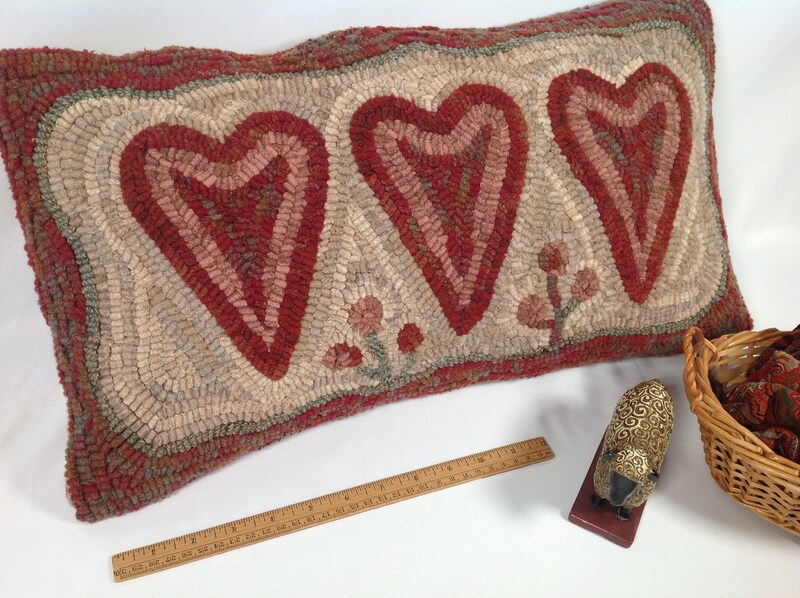 To purchase the PATTERN, see this listing: https://www.etsy.com/listing/676835823/rug-hooking-pattern-three-hearts-12-x-22?ref=shop_home_active_10. Some of the photos show how I finished this design. Only the wool pack is included in this listing. 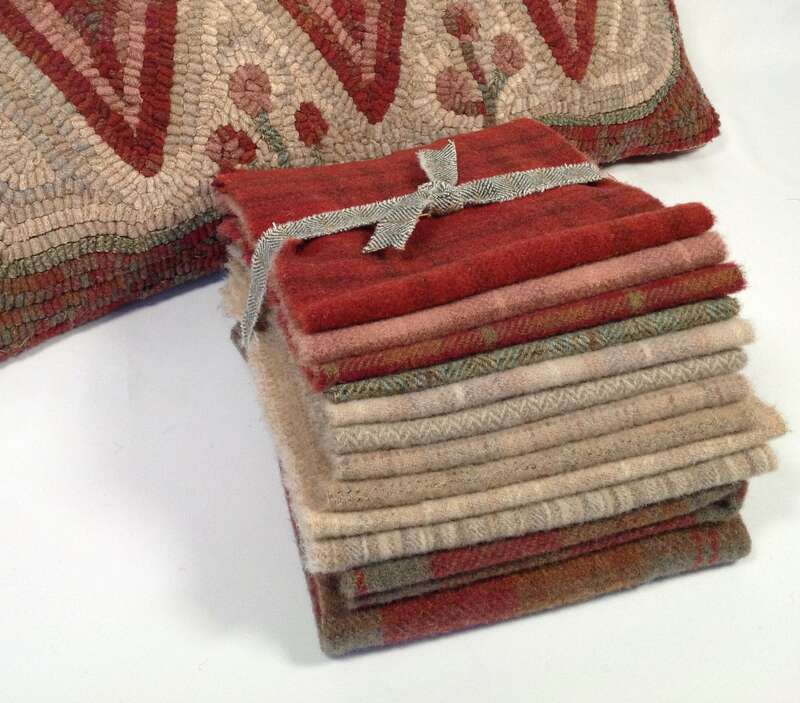 This lovely bundle of wool is not only to hook this primitive rug design. Use it in any pattern that is about 12" x 22" or so. Or use it for applique projects, quilts or sewing projects. The colors will be a wonderful addition to your stash. 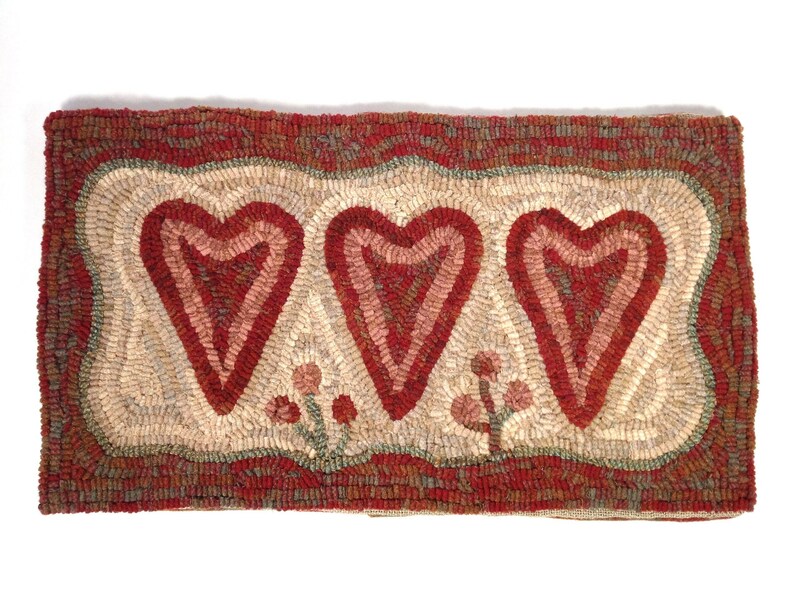 Colors in the wool pack include off white textures, reds, dusty pink, blue green, and a large red and green plaid which was used in the border and in the heart middles. 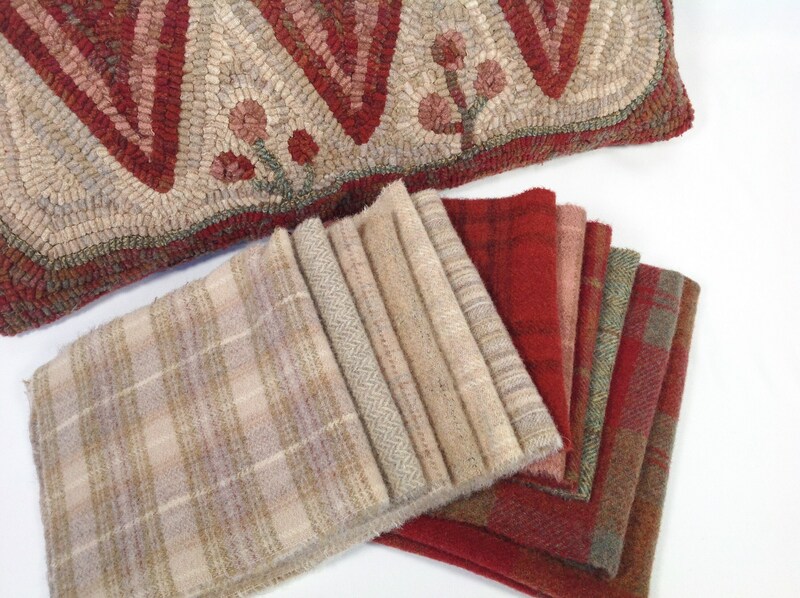 This wool pack includes 100% wool fabrics that I have prepared for rug hooking and applique by washing and drying to tighten up the weave (fulled). 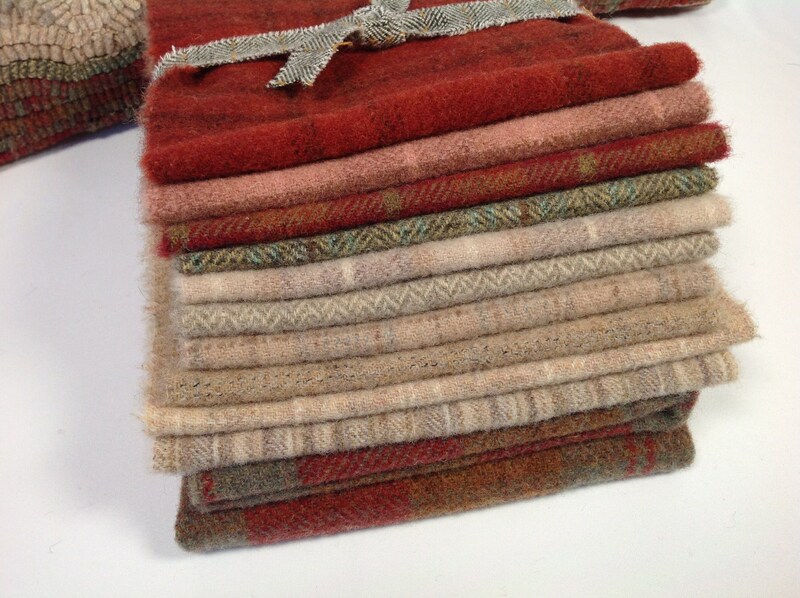 The wool pack can be purchased uncut ready for your cutter, or if you do not have a cutter, you can choose the option to have it cut in a #8.5 cut strips. 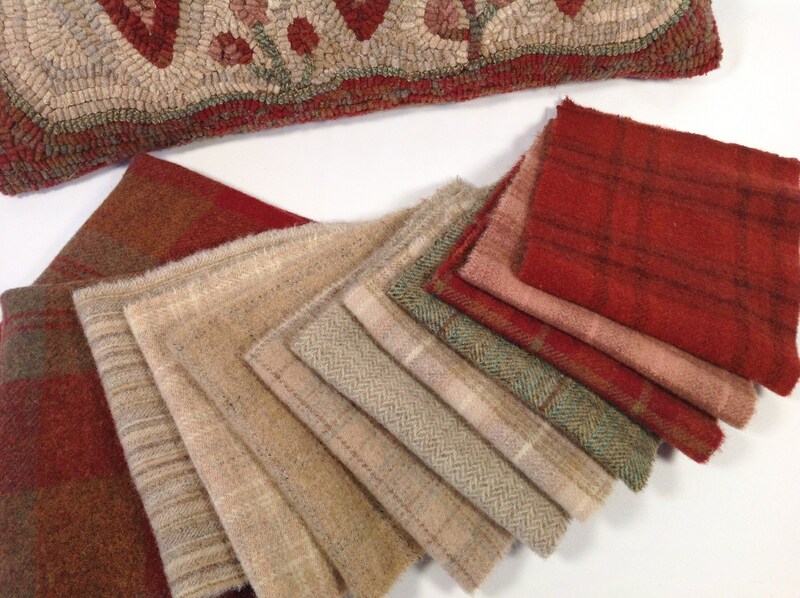 The pack includes a generous amount for this pattern so that you will have enough to complete the rug and leftovers. However, if you hook higher or tighter than I do, you may need more wool and are welcome to purchase additional. The photos include a finished sample of the rug to give you an idea of the how I hooked it. I used a #8.5 cut (3/8" wide strips). It is very fun and fast to hook, a great pattern for beginners and veteran rug hookers. If you want to make your design into a pillow, you would need to purchase another 1/4 yard for the back fabric. If you have never hooked a rug in the primitive rug hooking style, I recommend that you sign up for a class to learn the technique before purchasing this pattern and wool pack. If you have plans to attend a class or workshop, this pattern and wool pack would be a great option to take to class.